by kathyregini | Comments Off on Learn from Tiny Houses! This new Tiny House craze is insane! People are trading in their 3300+ square foot homes for places that average 150-400 square feet! Its not for everyone for sure, but I think Americans are reacting to the oversized mortgages that go with big homes. A way to simplify, work less and enjoy life more! Well…I don’t think I could manage it. Unless I was single maybe. 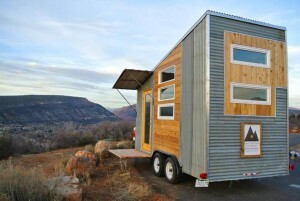 But what is important here, is that we can all learn from Tiny House living…what we can still incorporate. Enjoy the beauty of minimal living, less to items to clean, worry about and move. Take time to assess what is really essential. You have to lose the clutter!